Hello and happy 2016! I hope that everyone has had a marvelous start to the new year so far. You might have noticed that I went on a bit of a hiatus there, and you would be quite right. I was painting away like a madwoman the whole time, but due to traveling and technical difficulties (I don’t have a functional computer), I wasn’t able to post as much as I would have liked. Luckily, PhD in Nail Polish is still here and I’m sure jazzed about the backlog of wintry manis that I get to share with you. 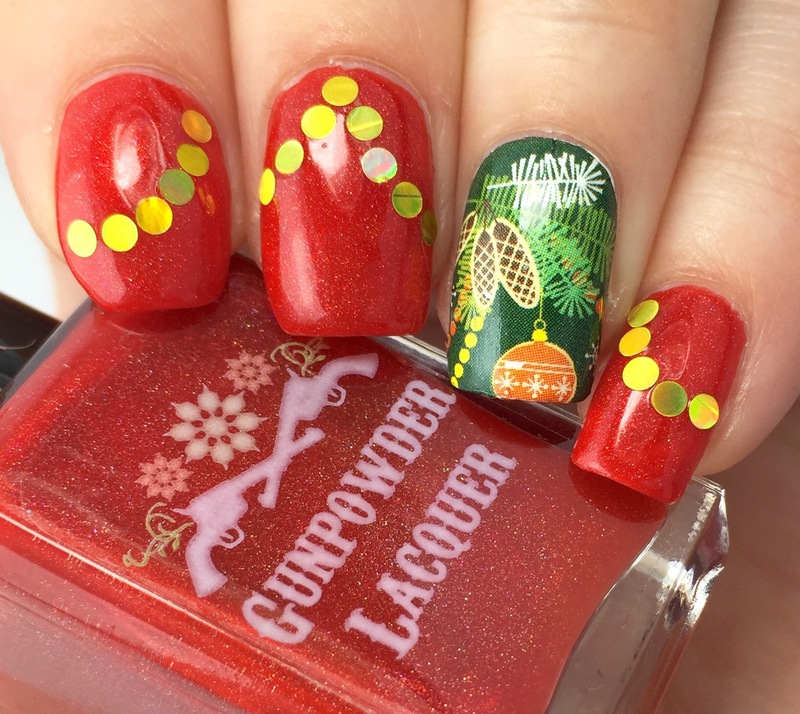 I hope you don’t mind seeing some Christmas/holiday themed looks! Technically the “twelve days of Christmas” only ended on January 6th, right? This bauble-inspired look might be my favorite mani of the year. 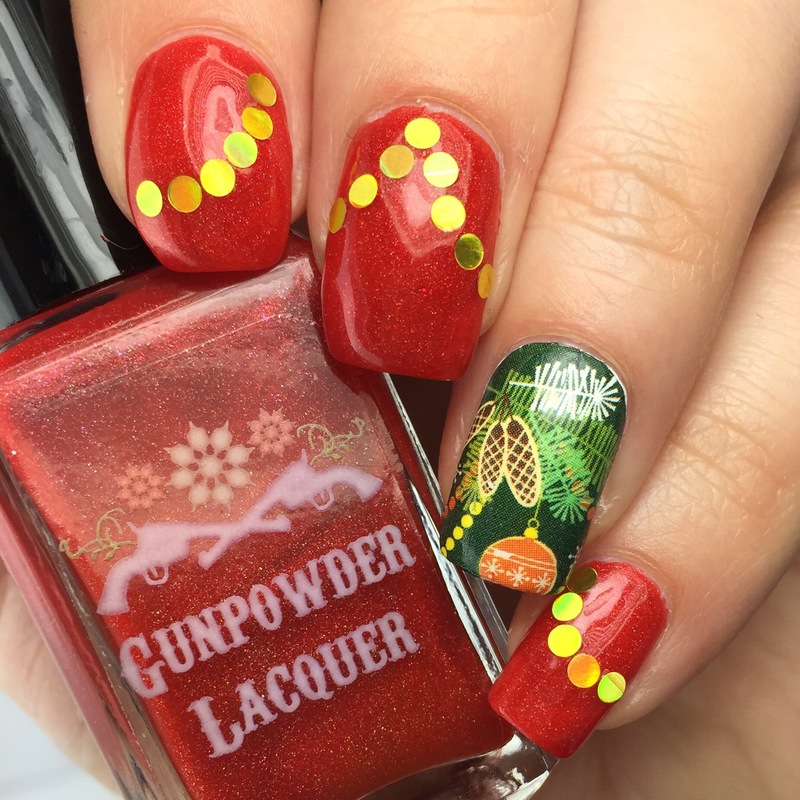 The main color is Gunpowder Lacquer‘s “Little Red Wagon,” a warm-toned red jelly (reviewed here) from the summer that I thought was just the right Santa red. Over that, I added gold circle glitters left over from a bygone KBShimmer purchase (from St. Patrick’s Day!). 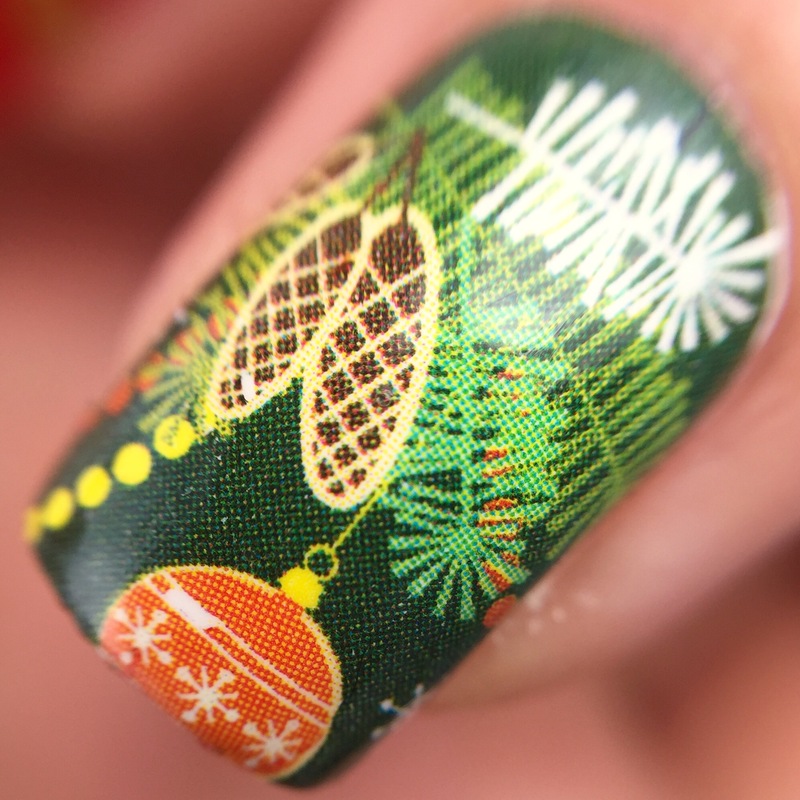 I used the glitter to imitate the garland strings on the accent nail. 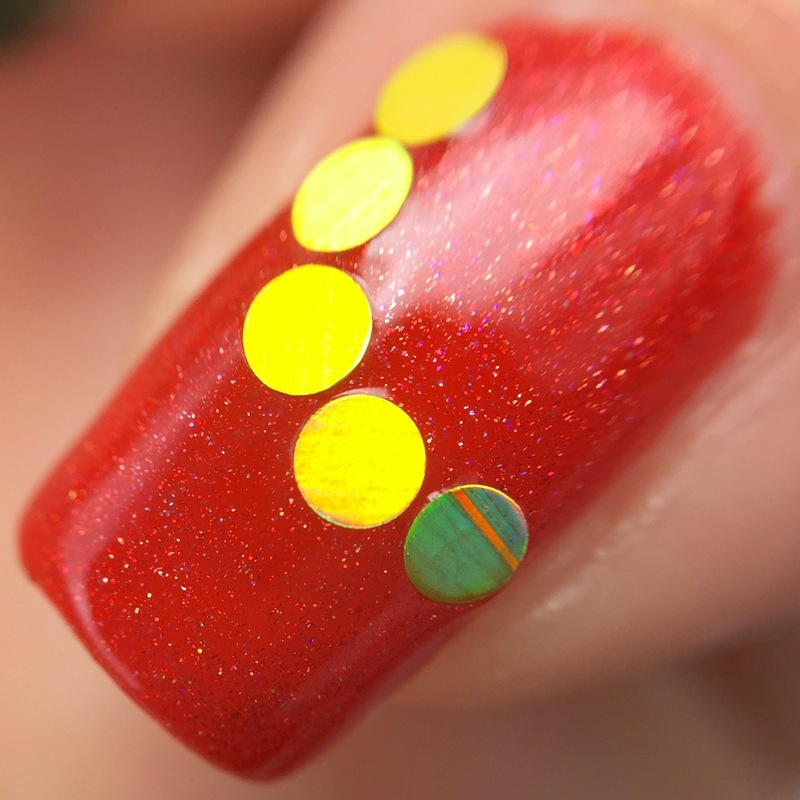 Speaking of the accent, I’ve been dying to use these really cool water slide decals that I picked up from KBShimmer. Mostly, I just wanted to see if they were easy enough for snazzy me to use (answer: yes, with practice- this is my second try with these and the results of the first were unpublishable). 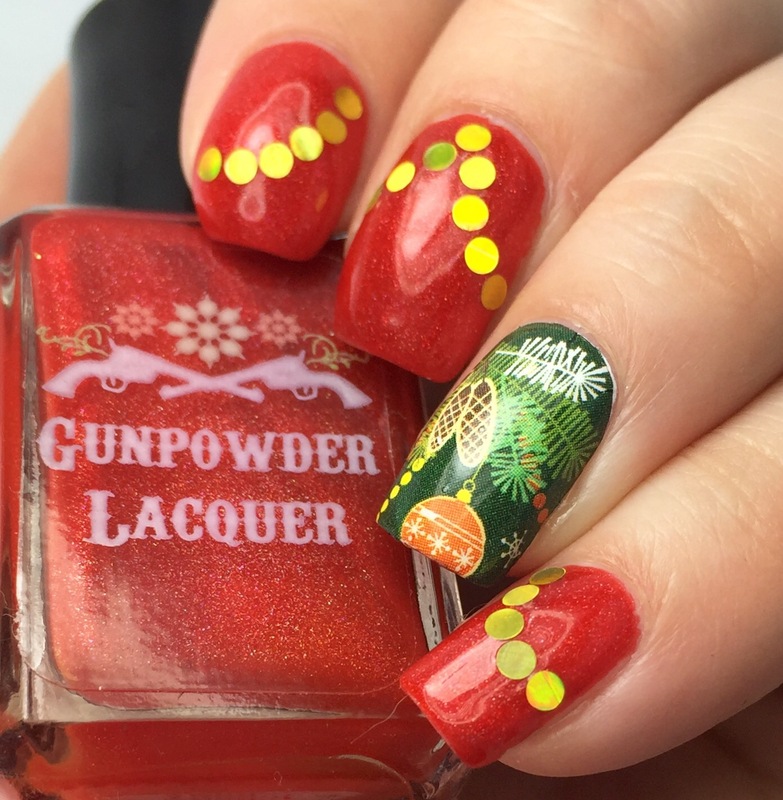 I started off with a coat of KBShimmer “Eyes White Open” and then followed all the instructions on the packaging. For me, the trick here was trimming them down to my tiny nail size and shape ahead of time, so when I went to top coat everything,the edges of the water slide decal didn’t melt and ruin the effect. All in all, I adore this look. I wore it around for nearly a week and only took it off when I had lost all my gold glitters on both hands. What do you think? The art is so cute!! Love! Thanks! It’s definitely my favorite that I’ve done in a long time. Christmas may be over but I am so glad you shared these! I love how they turned out, so creative!